This week, I wanted to talk about Buying Groceries on a Budget: Couponing Misconceptions. Before I started this blog, I actually stayed away from using coupons. My thinking of coupons was that when you used a coupon, you still paid more for a name brand product than if you just purchased the store brand using no coupons. And yes, this can be the case if you don’t know when the right time is to use the coupons. Later in this “Buying Groceries on a Budget” series, I’ll give more information on how to use coupons correctly. 1) Misconception 1: You have to be a crazy coupon lady to save money on your grocery bill. This isn’t true. I’m not one of those ladies with stacks of coupons and a massive coupon binder. I only have a small coupon pouch that easily fits into my purse. I do enjoy finding good coupons and deals, but it’s important for the every-day person to know that they can save money on groceries without spending hours and hours of clipping and organizing coupons. You need to be willing to do some couponing, but it’s not the main focus. 2) Misconception 2: You can only find really good deals or pick up products for free on items such as junk food, boxed foods and pre-packaged foods that aren’t that healthy. False. First of all, I don’t buy many boxed, pre-packaged or junk food items. Purchasing hundreds of items such as Top Ramen for free is notpart of providing healthy meals for my family. I mainly make homemade meals from scratch, and I am starting to do more freezer cooking so I have quick meals I can pull out at the last minute. In fact, most of my weekly grocery lists consist mainly of produce, dairy and meat. In reality, most of us won’t walk out of the store with hundreds of items in our cart with a grocery total of $0.01. But with the simple tips I share in this “Buying Groceries on a Budget” series, you will be able to walk out of the store with really good deals, which will help to cut down your grocery bill considerably. I laugh at myself because I used to say this. Life is busy and there are constantly a hundred demands pulling us in different directions. But adding a few minutes here and there to clip some coupons doesn’t have to be overwhelming. If you’ve never used a coupon, don’t expect to immediately save 90% off your grocery bill. It takes some time to learn how to use coupons. But clipping coupons is going to save you money. 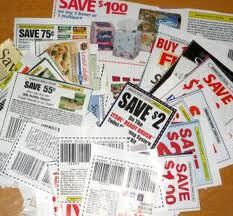 If you use nearly every coupon you clip, then you are notgoing to save any money. Instead, you’d probably end up buying a lot of over-priced items you wouldn’t normally buy or won’t use, and you’ll end up spending a significant amount more than you save. This is not how to effectively use coupons. Couponing to save money doesn’t have to take hours out of your week. You could see considerable savings by committing to spend an extra hour each week to make a menu plan, write out a grocery list, follow a few couponing and deal websites, clip coupons, and check sales fliers. Using coupons wisely requires patience. It involves waiting until an item is at its rock-bottom price, which is the lowest price you’ll see it at a store, and then pairing it with a coupon so that you get it inexpensively or free!